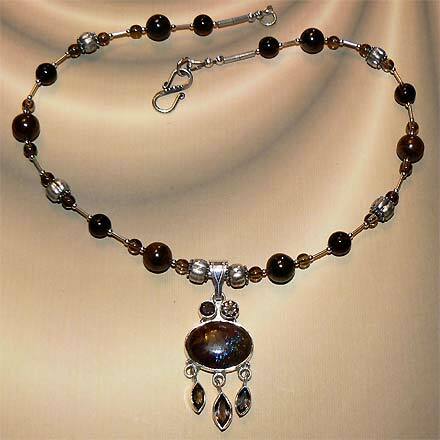 Sterling Silver Boulder Opal and Smoky Quartz Necklace. See Closeup. 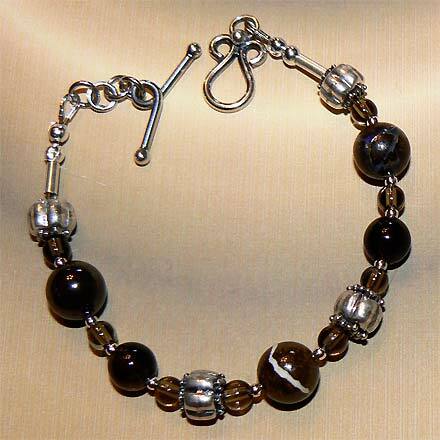 Sterling Silver Boulder Opal and Smoky Quartz Bracelet. This is quite the rarity...Boulder Opal! 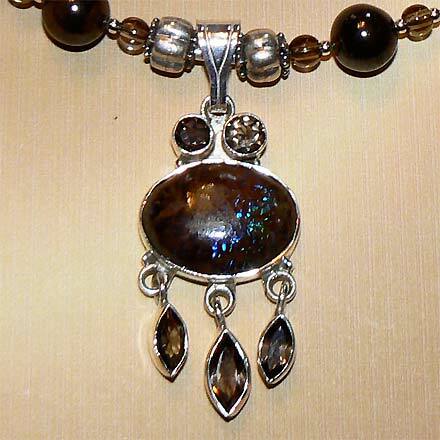 The opal is in an iron matrix and gives occasional glints and glitters in the beads, but the pendant is the real treat...it's like painting with blue and purple iridescent glitter over brown paint (which is what I do in my other life as a painter). Hard to capture on camera. For those who are interested in Astrological significances of stones, Opal is the birthstone for October and Smoky Quartz is associated with Sagittarius.